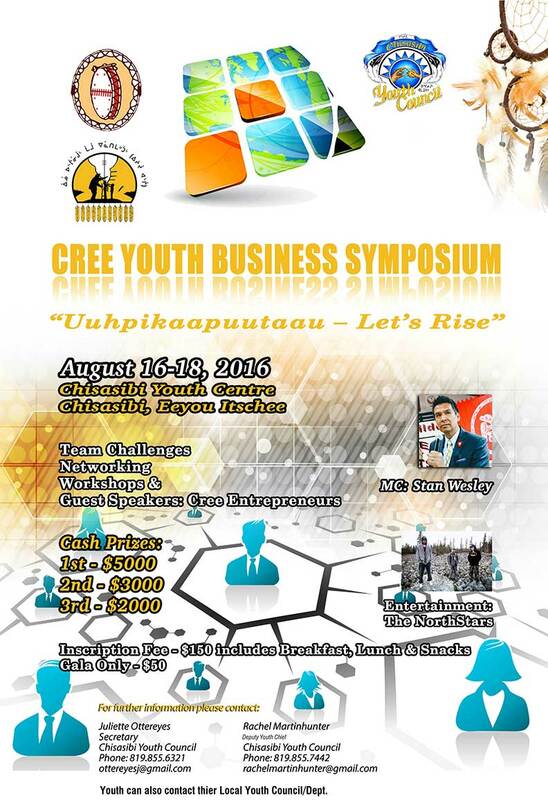 Cree Youth Business Symposium 2016 will be held in Chisasibi from August 16 – 18, 2016 at the Chisasibi Youth Center. This year’s theme will be “Uuhpikaapuutaau – Let’s Rise”. The event will feature Team Challenges, Networking, Workshops & Guest Cree entrepreneurs. Inscription Fee – $150 includes breakfast, lunch & Snacks.